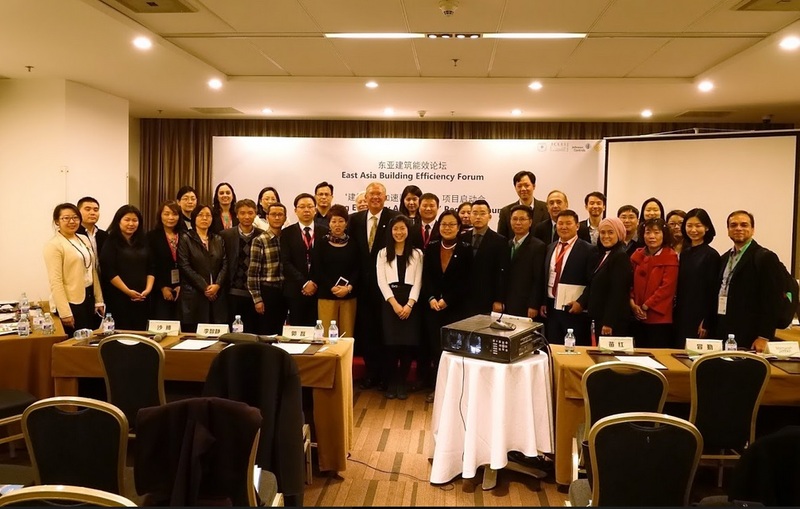 On March 22, 2017, the BEA’s East Asia launch brought together stakeholders from government, non-profit and the private sectors to showcase the building efficiency work of three leading Chinese districts – Changning District, Wuxi City High-Tech Industrial Development Zone and Suzhou Taihu New City – and two current BEA cities – Ulaanbaatar, Mongolia and Iskandar, Malaysia. The launch forum was co-hosted by BEA global partners including ICLEI-Local Governments for Sustainability East Asia Secretariat (ICLEI EAS), World Resources Institute (WRI), Johnson Controls (JCI), and the China Society for Urban Studies (CSUS). The forum took place at the largest annual green building conference in China, the Thirteenth International Conference on Green and Energy-Efficient Building & New Technologies and Products Expo in Beijing. Along with districts sharing experiences and best practices in promoting building sector energy efficiency, the forum included an expert panel discussion and an interactive assessment activity to map stakeholder views on a set of building efficiency topics. Read more about the event on the ICLEI-Local Governments for Sustainability East Asia Secretariat news page.